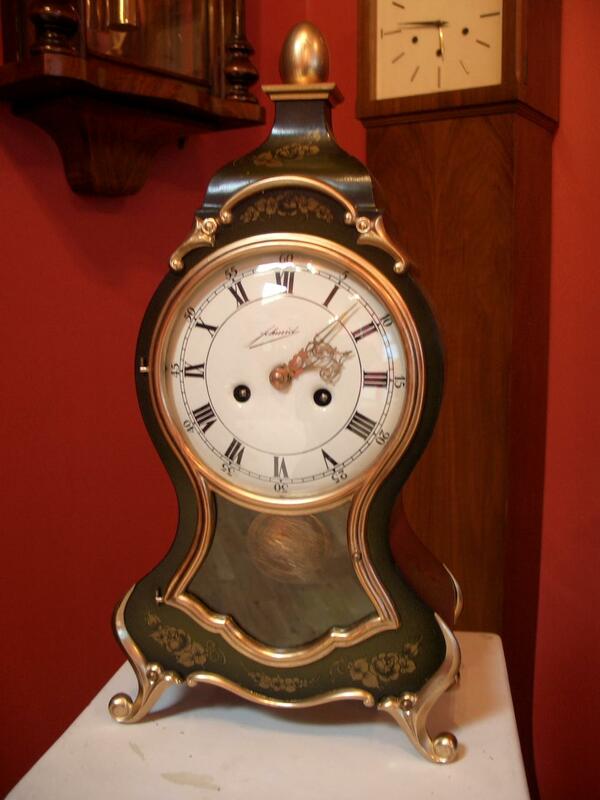 Schmid Neuchatel ting tang 8 day reproduction clock made in Germany. Boulle style with floral and gold decoration on case. 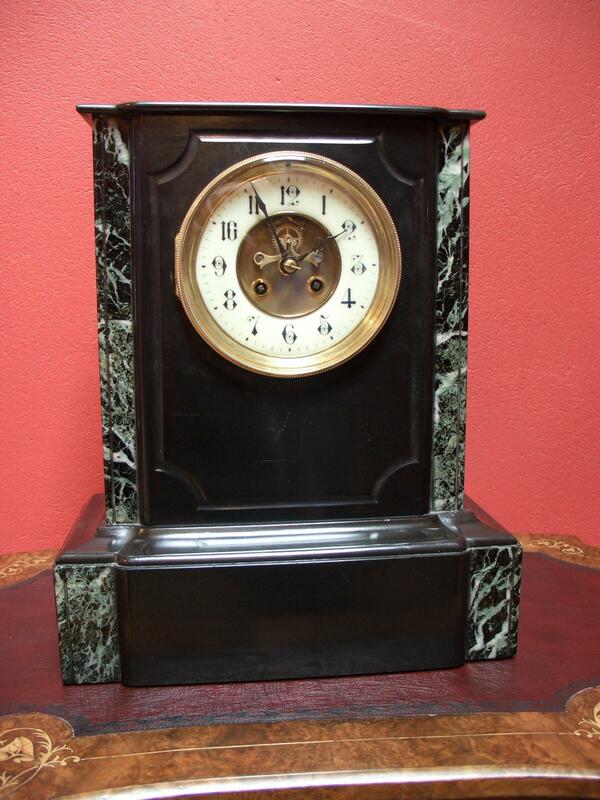 Clock made by Schmid – Schlenker company in Schwenningen with the SSS mark on the back plate. Fully restored with one years guarantee.